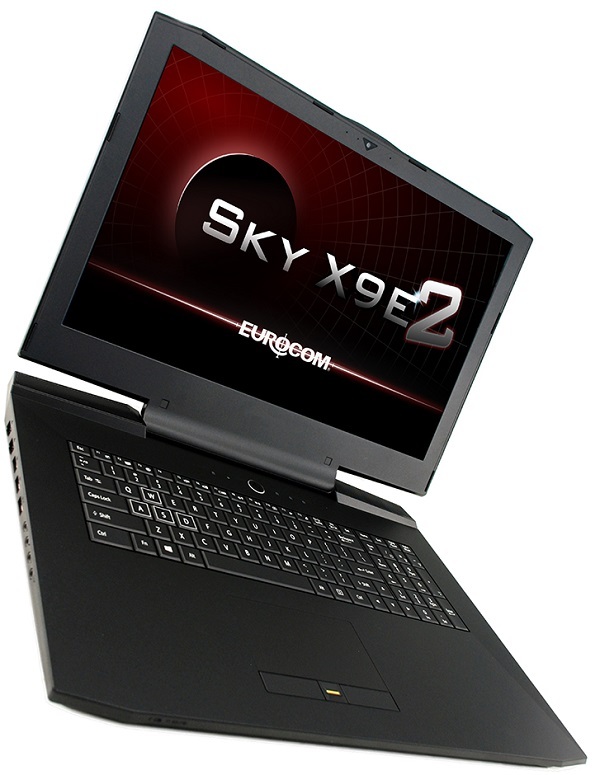 Eurocom is launching the fully upgradeable 17.3” Sky X9E2 with support for dual NVIDIA GeForce GTX 1080 SLI graphics and the Tornado F5 with support for single NVIDIA GeForce GTX 1070 and 1060 graphics. The EUROCOM Sky X9E2 is directed towards individual Virtual Reality developers covering vertical markets from education, training, medical, engineering, entertainment, military and content creators providing them with fully portable VR solution for on-the-go development and testing. The Sky X9E2 is so powerful it can fully utilize two 330 watt AC adapters. The EUROCOM Sky X9E2 can support up to 16 GB of video memory via two NVIDIA GeForce GTX 1080 graphics cards giving users unmatched video performance. Utilizing an Intel Z170 Chipset and LGA1151 socket gives the EUROCOM Sky X9E2 the ability to support up to the Intel Core i7 6700k processor managing up to 64 GB DDR4 memory. Four drives are supported for up to 6 TB of storage support with two M.2 SSDs and two HDD/SSD. A 17.3” 120 hz panel tries to keep up with the mind blowing frame rates coming out of the dual NVIDIA GeForce GTX 1080 graphics cards. Fully upgradeable, fully customizable, users can turn the EUROCOM Tornado F5 into the laptop of their dreams by selecting the components they want to fit inside this highly capable, yet very mobile chassis. EUROCOM Tornado F5 is designed to get the job done – take it to your worksite or office, the Tornado F5 is along for the ride of your life. The EUROCOM Tornado F5 couples NVIDIA GeForce GTX 1070 graphics, Intel Core i7 6700K processor, 64 GB memory all in a 15.6” chassis for mind blowing performance in a highly mobile chassis. Being fully upgradeable the EUROCOM Tornado F5 can support a variety of MXM 3.0b graphics cards including next generation NVIDIA GeForce GTX 1070, 1060 graphics, NVIDIA GeForce GTX 980M, 970M, 965M as well as professional grade NVIDIA Quadro M5000M, M3000M and M1100M graphics. •	Processor: Socket based; LGA1151; up to 90W TDP; choice of Core i7, i5, i3 up to 6700K. •	Audio: High Definition Audio; S/PDIF Digital Output; Built in array microphone; Built in two 2W speakers; Sound Blaster X-FI MB3; External 7.1CH output (headphone, mic, line-in and S/PDIF).